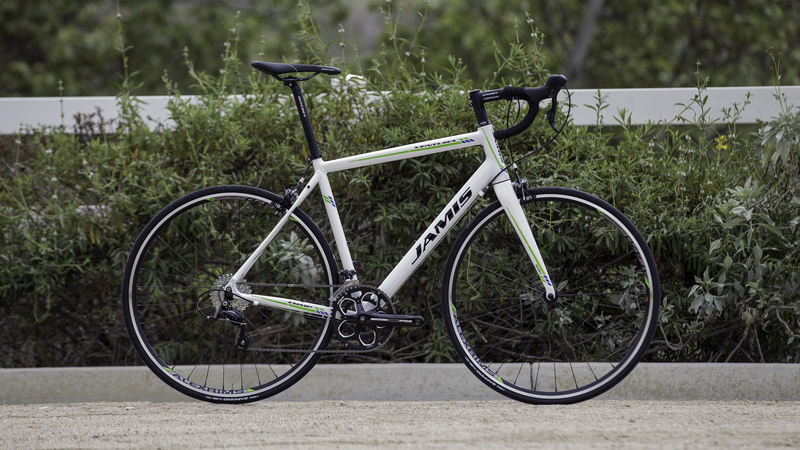 Whether you are jamming the city streets with your riding buddies or cruising the backroads on your own, the Jamis Ventura Comp has everything you need and nothing you don’t. Its lightweight aluminum features comfortable geometry meant to put on the miles, while the carbon fork assists in dampening road vibrations. 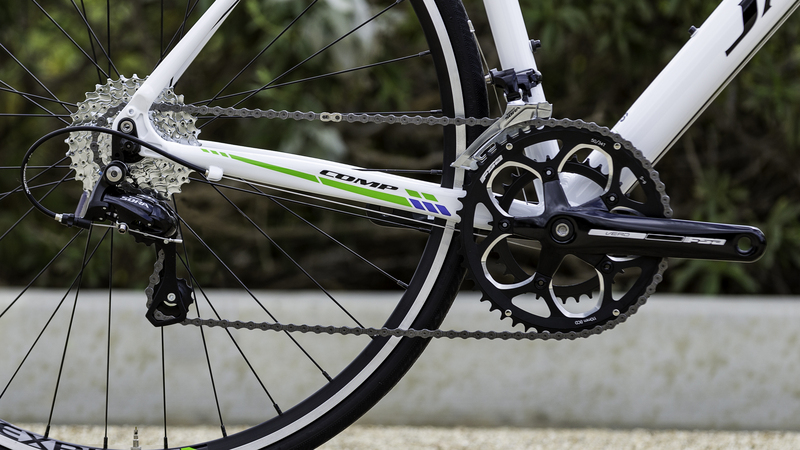 The Shimano Sora drivetrain sports 18 speeds that give you a plentiful gear range for spinning the climbs and mashing the straights. The Alex wheels are durable and spin fast and smooth on sealed bearings. The cockpit controls are supplied by Ritchey, ensuring the best in durability, lightweight, and function. This bike performs very well for entry level road rides. I usually go about 20-30 miles averaging about 15 mph. I probably have around 500 miles on it so far and it's running beautifully. I've hit upwards of 45 mph going down some steep grades and feels very stable. I would recommend this bike to anyone just getting into the sport or who isn't planning on going pro any time soon. My bike was soon and I needed a replacement. I'm a spin instructor and don't ride outside often but I wanted a replacement and didn't want to spend a lot of money. This bike was on their website , but before I purchased it I went into the store. They helped me out, showed me other bikes and confirmed what a great deal this bike was! It came in the next day and they set it up for me. So easy and an unbelievable deal! This is my first road bike. After much research, I found Jenson to have the best price for the best components. Everything was installed perfectly. All I had to do was adjust the handlebars and install the front wheel. The bike is very light (22 lbs). I wish there were more color options but that's less important. I will be looking at Jenson when I am ready to upgrade my bike. Overall it is a very decent entry bike. Except that the small spot of paint at the end of the fork that connects to the wheel was gone when I received the product. The aluminum was exposed. It is a small spot but noticeable. Otherwise I would give 5 stars. 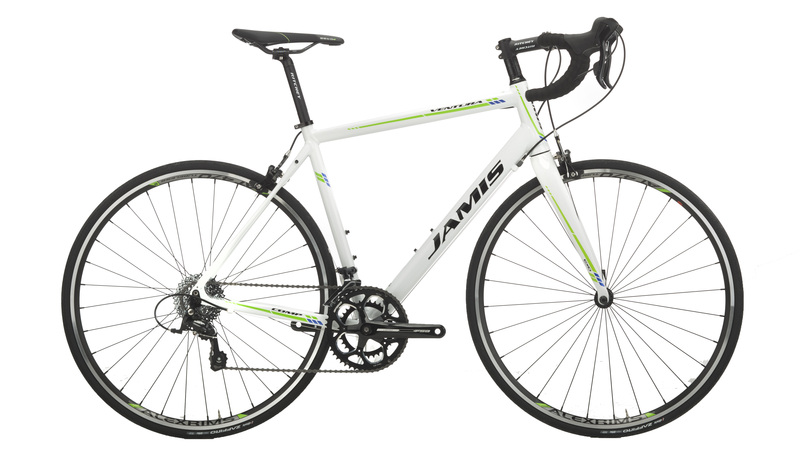 What is the weight for this bikeJamis Ventura Comp Bike 2016? 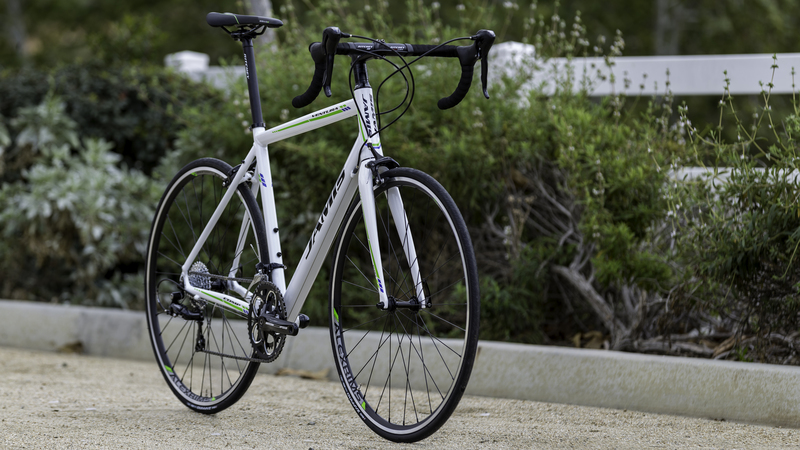 BEST ANSWER: Weight for this slim, competitive bike is 21.4 lbs. It maneuvers like nothing I’ve had before, making up for its 18-speed boundary with dexterity and adept handling. Incredible bike for a very doable price! Fully assembled mine comes in at 20.2 pounds. I have stock platform pedals and a frame mounted pump. 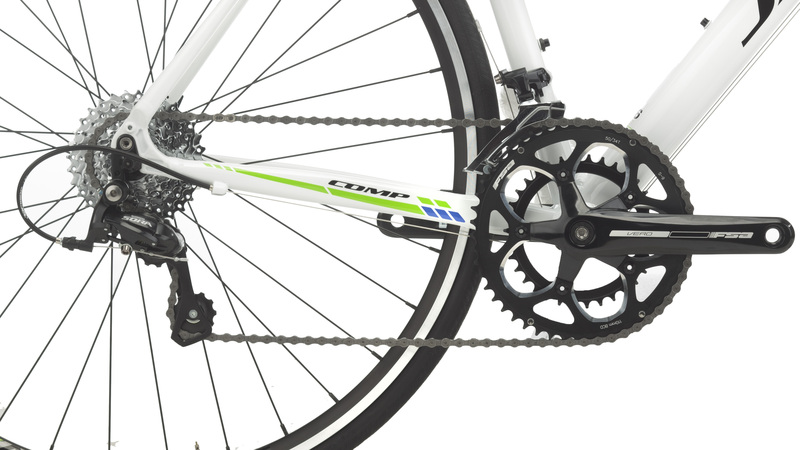 21 lb great road bike, good components for the price..
How much assembly would be needed for this bike? Also is free shipping included with this bike? Is this a good bike for long distances? This is a very broad question which makes it a bit tough to give a precise answer. This bike does have a slightly more upright geometry which will help keep you comfortable for longer rides. It also has a carbon fork that reduces road vibrations. 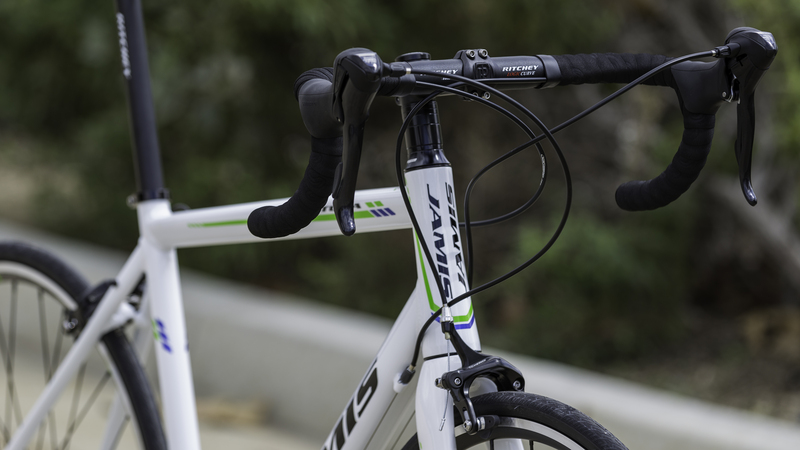 It is a entry-level road bike that will be heavier than high-end bikes, so that can increase fatigue over longer distances. Ultimately, it's a great entry-level bike that would be worthy of some upgrades as you ride more and more. How wide of a tire will this frame fit? BEST ANSWER: I was able to fit 28mm Continental Grand Prix 4000s II with no rubbing. Can I replaced the tires by a 700Cx28 or 700Cx32?